Decision Time on Jannu: Forward or Back? 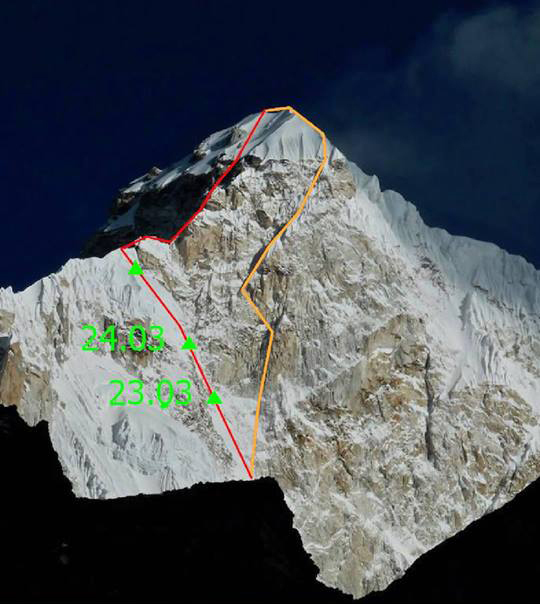 The Russian pair are currently tentbound on the Southeast Face, within a couple of rope lengths of the easier Southeast Ridge. 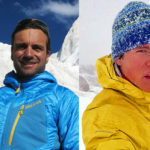 Sergey Nilov and Dimitry Golovchenko face an impending decision — to continue climbing the last 500m to the summit of 7,710m Mount Jannu by the original 1962 French route (Southeast Ridge), or to abandon and descend. 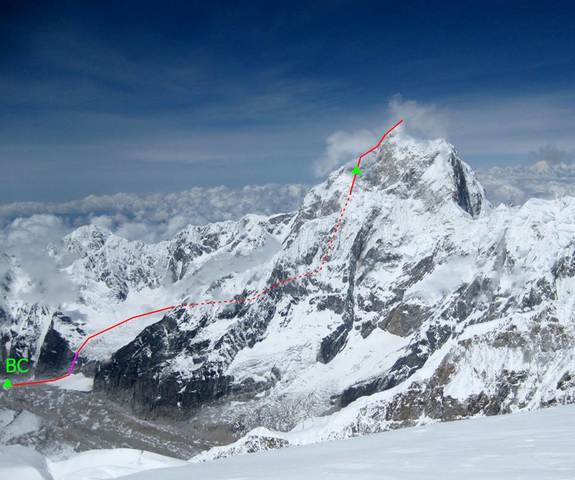 Yesterday, March 25, the resilient duo got to within one or two rope lengths of the sloping shoulder of the Southeast Ridge, at an altitude of about 7,270m. Today, half a metre of snow fell, and they spent the day huddled in their tent, with diminishing supplies. 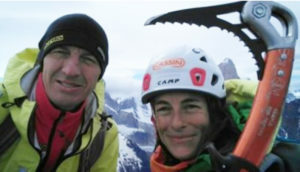 They’ve been on the mountain for 11 days, and food and fuel are running low. 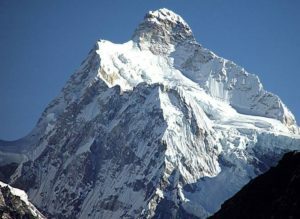 For the next 48 hours, the wind should drop and the snowfall taper off, potentially allowing for a summit push on Wednesday. 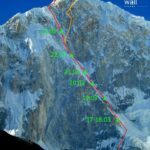 If Nylov and Golovchenko manage to top out, they are expected to downclimb the Southeast Ridge, as the Southeast Face is considered too complex and dangerous at this stage. 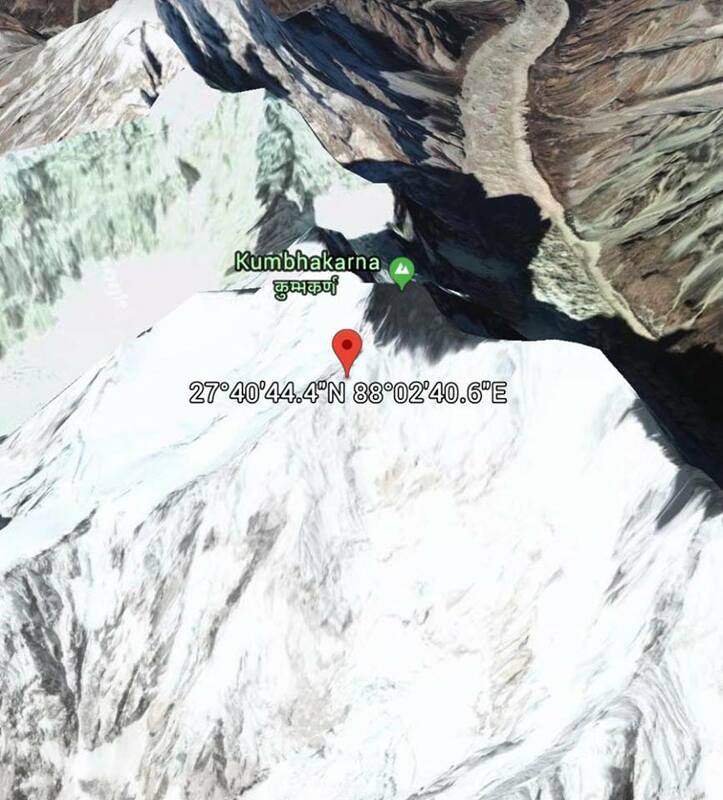 Mount Jannu: Why is It So Hard?